Considering switching to cloth diapers? Real moms share the tips, tricks and advice they wish they had been given before they started out. 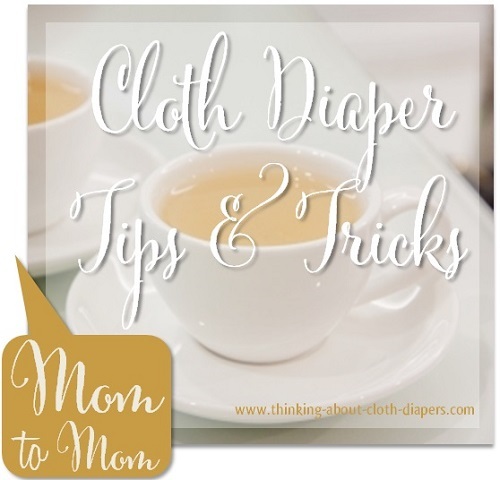 Are you thinking about switching to cloth diapers, but you don't know anyone else that uses them? Making the change from cloth to disposables can seem a bit overwhelming, and even downright scary at times. We don't all have the luxury of a sister or best friend who has been there, done that, and can walk us through it step by step. So, we asked our friends on Facebook to think back on their cloth diapering experience, and share one thing they wish they had known before they started with cloth diapers. Our readers responded with lots of wonderful encouragement we're happy to share with you! There is a large and supportive cloth diaper community out there to help you when switching to cloth diapers! Follow our Facebook page for more real mom-to-mom discussions and advice, and be sure to share your experiences to encourage other new moms who are switching to cloth diapers to try and stick with it! Modern Cloth Diapers: If I Could Cloth Diaper All over Again... Cloth diapers are constantly evolving. Readers ask me frequently, "if you could cloth diaper all over again, what would you do differently?" This article is my response to that question. 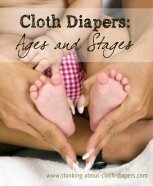 Getting Started: Your Cloth Diaper Questions Answered - Have you been thinking about using cloth diapers? Well, there's no better time than now to get started! Today's cloth diapers are affordable, cute, and yes, they're also effective! And they're probably even easier to use than you imagine! In this article, we answer common questions about switching to cloth diapers.